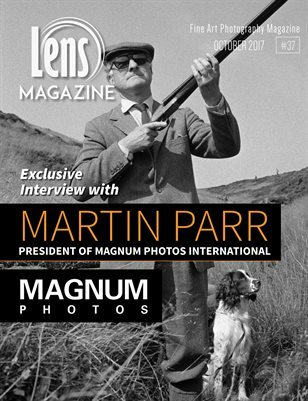 We are very honored and super excited publishing this month's issue featuring an exclusive interview with Martin Parr, one of the greatest photographers of our time, a remarkable man who has made an extraordinary impact on the photography world, a full member of the Magnum Photographic Cooperative, and has served as President of Magnum Photos International since 2013. More you will find in this fabulous issue, documentary projects made by extraordinary emerging photographers! We would like to give a special thanks to Martin Parr for this fantastic interview and to Allan Kliger, Photojournalist at Lens Magazine, for his time and effort creating such a great article! Enjoy!